We had the pleasure of attending State of the Map 2017 this year, the OpenStreetMap communities’ annual U.S. conference to talk open source mapping and data, and of course celebrate community achievements. 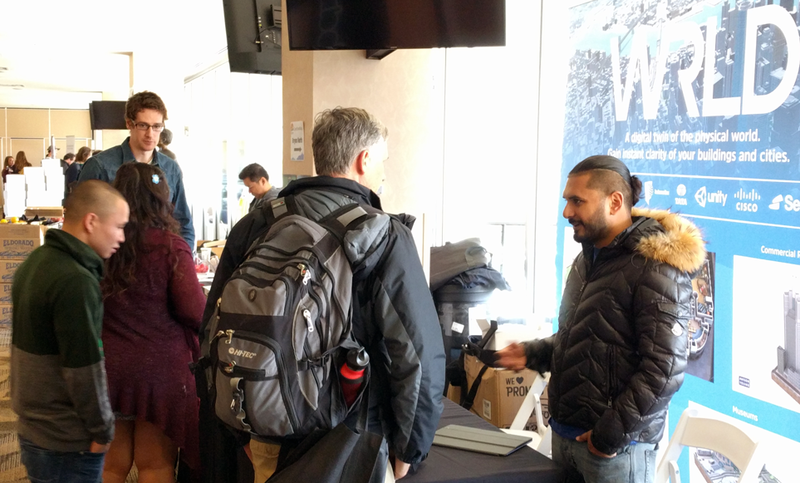 The event offered a rare chance to connect with mappers, businesses, GIS specialists, government agencies and non-profits who all respectively collaborate around the free and editable map of the world, OpenStreetMap. The WRLD team was really impressed by the very open and transparent discussions as well as the shared ideation around mapping problems and solutions at the event, not only by the OpenStreetMap Project teams, but among different mapping providers too. Open street mappers who were interested in how we use their data and how they may use our 3D mapping platform. We are striving to consume more OSM data to generate our maps in new and existing areas we have mapped. We currently rely on other data providers for road and rail data and are looking to speed up and improve the accuracy of our map builds, especially focusing on building height data. The fastest way to improve accuracy in our own maps is directing our customers to OpenStreetMap to report inaccuracies in map coverage. Our current data build process to produce our 3D map tiles is a bit time-consuming, but we’re working on increasing efficiencies to this process which will allow us to increase the cadence of updating our maps. This approach is something we hope will build a closer relationship with OpenStreetMap and allow our team and users to make a more meaningful contribution to the open source project! Using Machine learning to create building heights in OSM was particularly interesting and relevant to us. We were inspired to learn how others are investigating and solving building height generation challenges, given that our maps are 3D and we want to generate this data accurately. Assessing imagery quality at scale was also really interesting. Learning how Damon Burgess and his team are leveraging the image assessment tools they already developed to address fidelity variance to solve other problems like prioritizing future map coverage was inspiring. At WRLD we see our maps as more than just maps, but rather as a virtual model that spatially visualises data and enables problem solving through simulation of ‘what-if’ real world scenarios. The WRLD team spent time at the conference demonstrating our maps and their uses as digital twins of real world spaces and services (a digital office, a digital museum venue, etc.). You can read more about how digital twin technology directly benefits businesses and more here. The State of the Map booth allowed us to initiate conversations and identify opportunities with other developers and companies who saw our technology as offering something different and advanced, especially when integrating the platform with their own services or visualizing their own data. The conference was fantastic! Over three days we met some old friends and made new ones while exploring digital mapping and the associated technology that we live and breathe each day. A huge thanks to OpenStreetMap and their army of brilliant volunteers and contributors. We are sure that we’ll be seeing you again next year. If you have ideas about how we could work together by either mapping your services or data, we’d love to hear from you. Similarly if any of your friends in the OpenStreetMap community have ideas about how we can play a bigger role contributing to the project with open source mapping- especially around building heights, we’d love to hear from them as well and grow our support for the community. Get in touch! enquiries@wrld3d.com, @wrld3d.